Essar Bulk Terminals is developing its Salaya into a world-class terminal to meet the region’s power-generation needs. Two Siwertell ship unloaders and one Siwertell ship loader are central to the development, meeting the company’s capacity and environmental protection requirements. The port of Salaya, in the Indian state of Gujarat, operates under extremely strict environmental regulations. These are in place mainly to protect its thriving fishing trade, which relies on maintaining good quality, clean water. 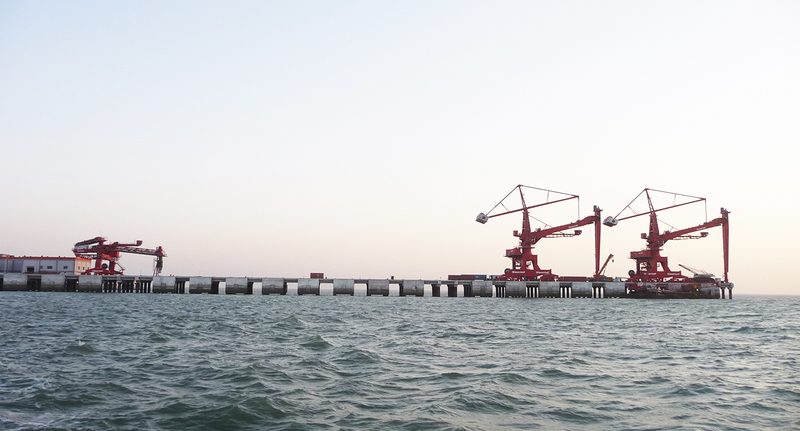 Essar Bulk Terminals needed reliable, proven technology that would meet the dry bulk material handling requirements for the region’s power-generation facilities, as well as providing clean, environmentally-sensitive operations compatible with the fishing industry. Assembling the Siwertell machines was a major challenge because of difficult site logistics. The pre-assembly site on land was several miles from the jetty, which was inaccessible by road and could only be reached by sea. Siwertell’s ability to deliver environmentally- friendly, high capacity, lightweight equipment made it the natural choice for the Salaya terminal. High quality equipment and Siwertell’s proven track record were also factors in the choice of equipment. The relatively light weight of the Siwertell equipment reduced the cost and impact of constructing the new jetty at Salaya, which was specifically designed to accommodate it. Each unloader weighs 912 tonnes and the loader weighs 289 tonnes. 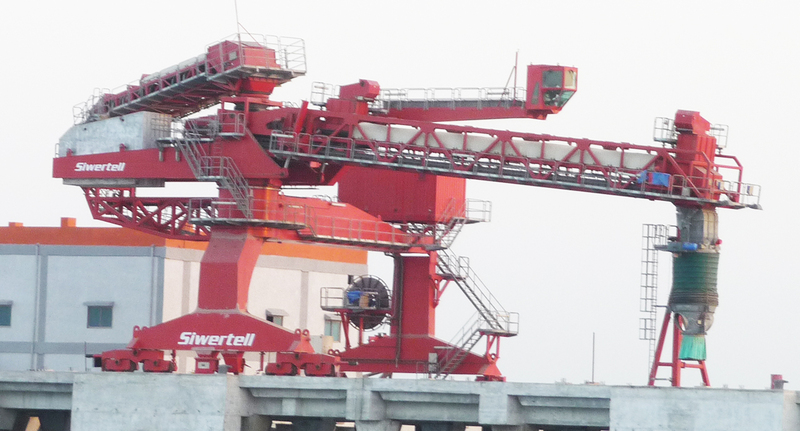 In 2011, Siwertell delivered the components for two screw-type ST940-DOB ship unloaders and one belt-conveyor type ship loader, carrying out final assembly and testing on site. 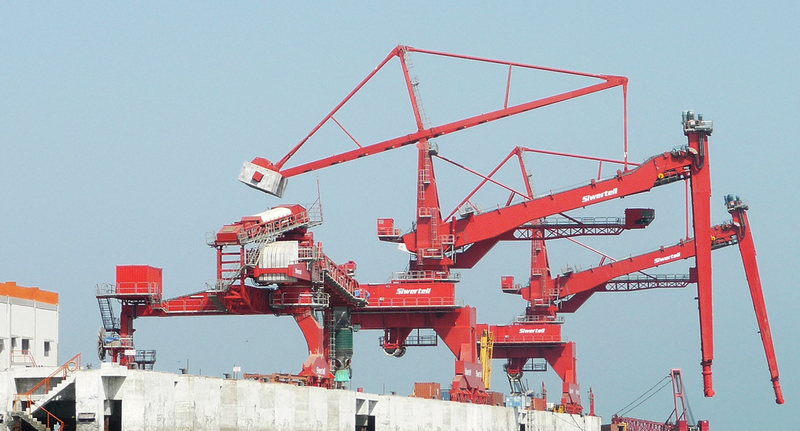 The unloaders can accommodate ships up to 100,000 dwt and are designed to discharge coal at a rated capacity of 2,300t/h. The loader can handle ships up to 70,000 dwt and is designed to load petroleum coke at a rated capacity of 1,500t/h.